Forbes Magazine recently published an article about the “Worst Cars on the Road”. The article detailed the 10 cars they found to be the “worst” on the road based on consumer ratings for quality, efficiency, reliability, safety, and overall value. Forbes evaluated six reliability and performance studies conducted in 2011 by Consumer Reports magazine. SUVs did not fair well on this list. SUV models comprised 4 of the top 5 “worst” cars and 5 models overall of the 10 listed. 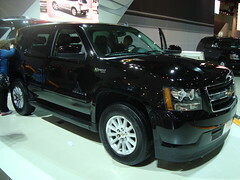 American manufacturers comprised all five of the SUV models on the list with GM with 2 models and Chrysler with 3 models. To be fair, the Escalade was at a bit of a disadvantage in these studies. The 2011 Escalade has a starting MSRP of $63,455 and comes standard with a 6.2-liter 403 horsepower V8 engine. This price point, while offering a very luxurious interior, does not even get a buyer four-wheel drive, which is quite egregious in our opinion. 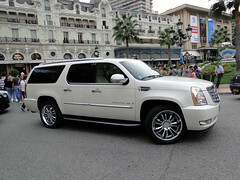 With its high retail price and powerful engines, the Escalade has a very high cost of ownership. This adversely affects its overall value ratings. Motor Trend magazine had a more favorable opinion of the 2011 Escalade giving it 4 out of 5 stars in its November 2011 “Ultimate Truck and SUV Buyer’s Guide” calling it “Still the ultimate status symbol.” On a side note, the Escalade is also the most stolen SUV, according to theft prevention and auto recovery company LoJack. Motor Trend really differed from Consumer Reports with respect to its review of the Jeep Wrangler, calling the 2011 model “better than ever” and giving it a perfect 5 star rating. The Wrangler certainly lives up to its billing as a capable off-road vehicle. Motor Trend gave decent ratings of 3.5 stars to the 2011 Chevrolet Tahoe calling it a “more manageable Suburban alternative” and noting the Tahoe Hybrid has a 33-percent improvement in city fuel economy. Motor Trend was not as kind to the other two models on Forbes’ worst SUV list. 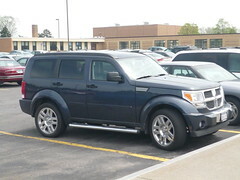 With regard to the Dodge Nitro, it gave it 2 stars noting there was “nothing explosive about it”. Similarly, the Jeep Liberty received 2 stars with the magazine calling it “outdated and underpowered”. The Liberty and Jeep Wrangler are definitely two of Consumer Reports’ least favorite vehicles. Both garnered spots on the magazine’s Least Reliable list for 2011. The Wrangler also received magazine’s Worst Value and Worst Car ranking, which was based on more than 50 individual tests and evaluations. This worst SUV to buy list has changed little from last year, in which the Escalade, Nitro, and Wrangler all appeared. To add insult to injury, none of the models on the 2011 lists was among the safest 2011 SUVs, according to the Insurance Institute for Highway Safety. While SUV buyers ultimately make their purchasing decisions based on their needs, impressions, and budgets, making this list certainly does not help sales.